Ignite togetherness and bring friends and family for a fun day around the grill to make great tasting food, together. From the backyards of America to the patios of Japan, the unmistakable smokey satisfaction that grilling provides is enjoyed across countries and cultures around the world. Live in an apartment? No problem. Beachside grilling a lifelong dream? We get you. Compact, portable and available in different sizes, grill how you live with our gas, charcoal and electric grills that deliver the same great taste, every time. Get your grill on and whip up these recipes for your loved ones. Great flavors start at the heart of every Weber grill—it’s lid and bowl. The design, which has stayed pretty much since 1962, promotes even heat circulation inside the grill. We’ve also spent endless hours optimizing our Cooking Systems so that you can enjoy consistently flawless mouth-watering grills every time, at any temperature. If you’re not a fan of flipping individual pieces of fish or prawn and turning them one by one on the grill, using a grilling basket can minimize the time spent so you can maximize the enjoyment. What’s so great about the Genesis II LX? Aren’t all grills about the same? You’d think so—until you cook with one of our Genesis II LX grills. Whether it’s 2, 3, 4 or 6 burners you’re after, these grills offer a seamless cooking experience with the Weber GS4 High Performance Grilling System. Raising the bar of your grilling experience. 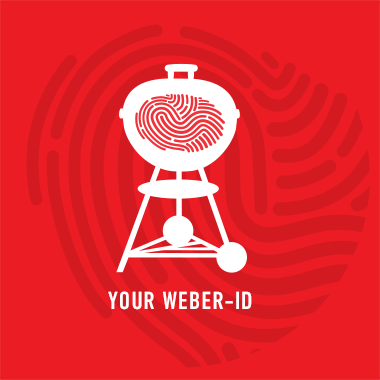 With a Weber, you’ll be grilling for years and years and years and—(you get it, for a long time). We’ve got you, and all your grilling get-togethers, covered with a10-year Warranty, 100% Weber Guarantee that replaces manufacturing defects at zero charge.